A high potency supplement targets to improve two major causes of high blood pressure - thickened blood and elevated stress level. 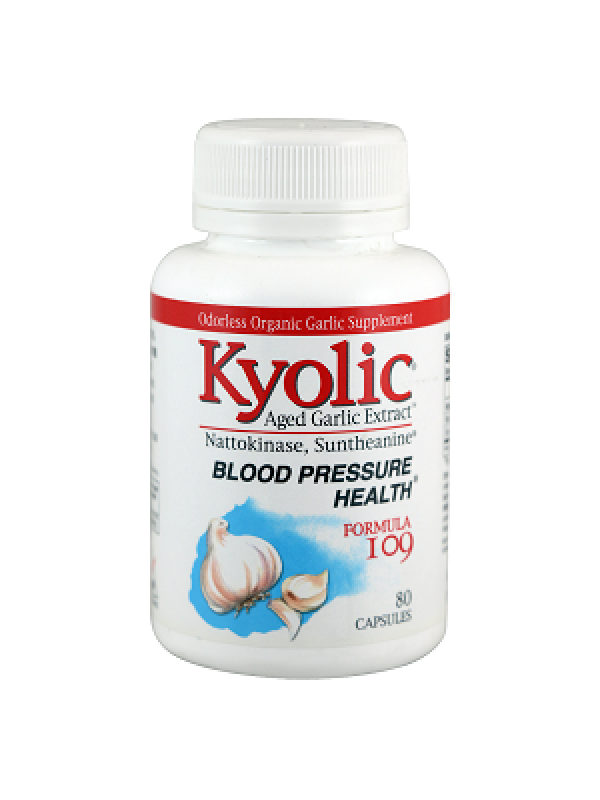 Kyolic® Formula 109 combines Aged Garlic Extract together with scientifically proven NSK-SD® (enzyme Nattokinase) and patented Suntheanine® (amino acid L-Theanine). This formula helps to regulate blood pressure by reducing blood viscosity and blood clotting. It also promotes relaxation and mental calmness without causing drowsiness.